GIULIA BELLONI is the author of the play La verità, o quasi and of several picture books, including Diverso destino, Nell’aria, and un désir inavoué in her native Italian. She is on the technical jury for the selection of the Campiello Giovani literary award. She lives in Padua, Italy. MARCO TREVISAN studied mathematics and illustration simultaneously. He works as a freelance illustrator, collaborating with graphic design studios, magazines, and periodicals. His work has been selected in prestigious national competitions, and in 2010 the Città del Sole designated him the Illustrator of the Year. Born in Belluno, he now lives in a village in the Italian Dolomites. 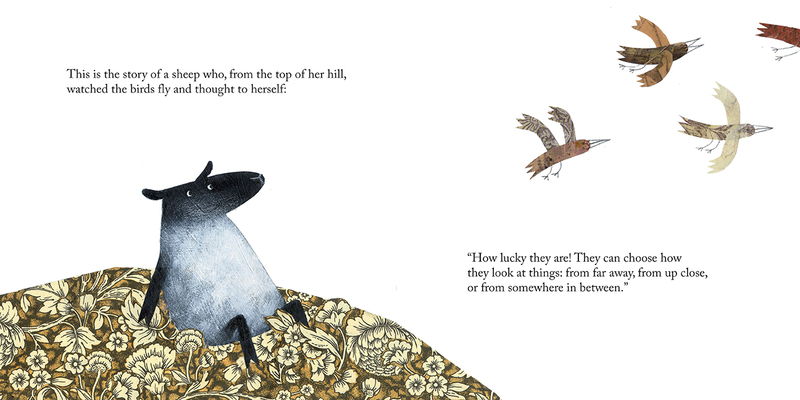 The sheep in this story is a dreamer, while her friend the wolf has a more practical disposition. One day the sheep runs to the wolf with an idea. She wants to build a flying machine! But the wolf tells her it's impossible. Eventually, however, the sheep's dream gets the better of the wolf's doubts, and they begin to work on the project together. Through perseverance and the process of trial and error, the sheep and wolf manage to create a winning design, brought to life by architecturally and mathematically inspired paper collage art. 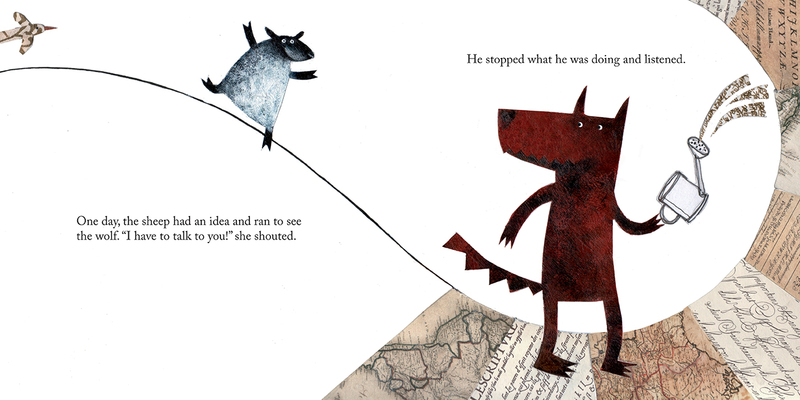 At the end of this whimsical tale, even the wolf has to admit that anything is possible! "This charming book underscores important life lessons such as cooperation and perseverance in an entertaining way."